With the New Year upon us, I believe it's important to focus on Who the coming year should be about. Jill Carattini of RZIM encourages us to reflect upon Jesus and our relationship with Him. Just wanted to take a moment and wish everyone a Merry Christmas! Dr. Gary Habermas is a recognized authority on the resurrection of Jesus Christ. He has twenty-five books to his credit and has also authored over one hundred articles in journals and magazines across the nation. Some of Habermas's more well-known works include The Case for the Resurrection (pictured), co-authored with New Testament scholar Mike Licona, The Historical Jesus, and The Risen Jesus and Future Hope. Dr. Habermas has debated unbelievers such as former atheist Anthony Flew, skeptic Tim Callahan, and even more recently, atheist Kenneth Humphreys. Each debate and/or discussion (depending on the format) dealt with the resurrection of Jesus Christ. As impressive as Habermas's credentials and accomplishments are, it's his kind and gentle attitude that is the subject of this post. "Probably the most interesting friendship I struck up was with Gary Habermas. He is unlike what I expected, although I don't know why I expected anything different. He was warm, witty, funny, and genuinely friendly toward me. He does not think he has any kind of notch on his belt for helping Antony Flew change his mind, and he openly admits Flew is a long way from Christianity. He says they talk all of the time. I believe he really is a great guy and enjoys people with no ulterior motive." Additionally, while listening to the debate between Dr. Habermas and Kenneth Humphreys, Habermas commented on his friendship with skeptic Robert Price. Admittedly, Christians to many times forget just Who they are representing while sharing their faith with those of different worldviews. I believe that Dr. Habermas's example of loving people were they are is one that all Christians should aspire to follow. "A gentle answer turns away wrath. But a harsh word stirs up anger. The tongue of the wise makes knowledge acceptable (Prov. 15:1-2a). Let your speech always be with grace, as though seasoned with salt, so that you may know how you should respond to each person (Col. 4:6). And the Lord's bond-servant must not be quarrelsome, but be kind to all, able to teach, patient when wronged, with gentleness correcting those who are in opposition, if perhaps God may grant them repentance leading to the knowledge of the truth, and they may come to their senses and escape from the snare of the devil, having been held captive by him to do his will (2 Tim. 2:24-26). But sanctify Christ as Lord in your hearts, always being ready to make a defense to everyone who asks you to give an account for the hope that is in you, yet with gentleness and reverence (1 Peter 3:15). Have mercy on some, who are doubting (Jude 22). It has been well said that the only Bible some will ever see, is the one being lived out in front of them. 1. Dr. Gary Habermas and Mike Licona, The Case for the Resurrection, p. 192-193. "People need dramatic examples to shake them out of apathy." It is with these words that billionaire Bruce Wayne (played by actor Christian Bale) decides to bring Gotham City back from the depths of crime and despair. Hence, Batman is born. Many have called the crucifixion of Jesus Christ grotesque, brutal, and immoral. However, one wonders if God knew that He too needed a "dramatic example" to shake His people out of their apathy. "For God so loved the world in this way: He gave His One and Only Son, so that everyone who believes in Him will not perish but have eternal life. For God did not send His Son into the world that He might condemn the world, but that the world might be saved through Him" (John 3:16-17). Brutal? For sure. Grotesque? Absolutely. Dramatic? Without a doubt. Pastor Mark D. Roberts, author of Jesus Reveled: A Historical and Practical look at Jesus, presents what can be know, beyond reasonable doubt, about the historical Jesus in this article, "How Can We Know Anything about the Real Jesus?" Dr. Phil Fernandes, in a chapter from his doctoral dissertation entitled Miracles, defends the idea that miracles are indeed possible. Drawing from his work on the Cosmological Argument for God's existence, Dr. Fernandes continues by giving reason to believe that the origin of the universe itself is best explained by the miraculous! I encourage you to check out both of these articles by Dr. Fernandes and hope you are challenged by them. New Testament Scholar Dan Wallace has announced the availability of two of his lectures on the reliablity of the New Testament documents. "Several have asked about getting a hold of my plenary lecture at the Evangelical Theological Society’s annual meeting; others have wanted to get my lecture given at apologetics conferences and in churches on whether our Bibles today essentially reflect the wording of the original text." For more information and how to order the DVDs, see here. "The Date of Christmas: In the Summer?" New Testament Scholar Darrell Bock's latest blog entry discusses what, if anything, the gospel accounts of Jesus' birth tell us about the day He was born. "I did an interview for ABC's Good Morning America a few nights ago on the date of Christmas. It was triggered by an astronomer's claim to have nailed down the date to a day in June. The origins of this date are worth discussing, since the gospels do not give us a specific day or even the season Jesus was born. The most we can get for the biblical data is a range of years. Here is the gist of what I told ABC in an email before the interview..."
As the Christmas season is upon us, many discussions will center around Jesus Christ and the "reason for the season." Theologian and philosopher Norman Geisler, in his article The Virgin Birth, explains why the Christian has good reasons to believe that God truly did become a man on that first Christmas night. 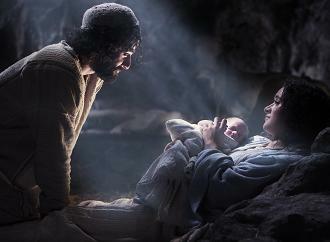 Many scoff at the idea of Jesus Christ being born of a virgin. However, we must ask, "Are there any good reasons to believe that God became a man on that first Christmas?" Last year, around this time, I took an honest look at the above question and found that there are very good reasons to read the gospel accounts of Jesus' Birth as historical. Check it out the article here. Also, be sure to view the For Further Reading section at the end of the article. As my wife was preparing a wonderful (she made me write that) dinner yesterday, I heard a knock on our front door. I walk to the door and opened it to find two Mormon gentlemen who had come to share the message of the Church of Latter-Day Saints . Upon sharing with them that I had, in the past, studied the doctrines of Mormonism and found Joseph Smith's vision account to be unsupported historically and that I had also found the Book of Mormon to be completely without historical support, the conversation quickly turned to the value of experiential evidence. One of the gentlemen shared that he had prayed the prayer suggested in the Book of Mormon (Moroni 10:4-5) and received "confirmation that it was true." I, in turn, affirmed the value of experiential evidence, but explained that if someone has what they believe to be an "experience" of God, that their experience must be confirmed by logical, coherent evidence to some degree. Meaning, I personally have experienced the saving power of Jesus Christ in my life and believe He rose from the dead, however, if there existed no evidence to confirm this claim from history, I would be foolish to continue to believe it. I would need to go back and re-evaluate my experience. In other words, the objective needs to work together with the experiential, otherwise, what you are believing most likely has no bearing in reality. The conversation ended respectfully and I was able to give them a copy of a sermon on Mormonism by the late Dr. Walter Martin. I also directed them to this blog. I encouraged them to study critiques of Mormonism (what they call "anti") as well as Mormon literature, and urged them to follow the evidence wherever it leads. Upon reflecting back on this conversation, I couldn't help but feel that I could have been better prepared. One evidence of this is when I mistakenly said that the Mormons used the New World Translation of the Scriptures, full knowing that they use the KJV Bible, as interrupted through the Book of Mormon, as well as The Pearl of Great Price; Doctrine and Covenants.
" a concise yet meaty resource that goes right to the point concerning why the Mormon Church and the Watchtower are terribly mistaken." "But sanctify the Lord God in your hearts: and be ready always to give an answer to every man that asketh you a reason of the hope that is in you with meekness and fear" (1 Peter 3:15, KJV). Was the Resurrection Reported in the Year it Happened? New testament scholar, Craig Blomberg, has written a blog entry about a new book written by prolific New Testament scholar Richard Bauckham. Bauckham's forthcoming book actually argues that belief in the bodily resurrection of Jesus must have emerged within about one-half year's time after the event! This has huge ramifications regarding the historicity of the resurrection of Jesus Christ. "But the most common skeptical alternative in recent years, that the resurrection stories are just late myths in which beliefs about Jesus' cause living on became embodied in mythological garb, simply doesn't have the decades (or sometimes centuries) needed for it to have developed the way all other ancient myths did. At some point, one has to say that it takes more faith to believe in the alternatives to the historic, Christian conviction at this point than to believe orthodox tradition!" To check out Bauckham's argument and Blomberg's full report, click here. "When Science Points to God"
Author and speaker Dinesh D'Souza has debated well-known atheists such as Christopher Hitchens, Michael Shermer, and Daniel Dennett. In his recent article, When Science Points to God, D'Souza discusses the relationship between science, atheism, and a Creator. What does the scientist do when empirical data begins to suggest that a "plot" is involved in the creation of the universe? Whether you enjoy D'Souza's work or not, the New Atheists despise him so he must be doing something right! For those who are unaware, February 12th is the birth date of Charles Darwin, author of Origin of the Species, where he described biological evolution via natural selection for the first time. Since Darwin's death in 1882, various events have taken place to celebrate Darwin's works and his contributions to the scientific community. Since the 1990s, Darwin Day has become more and more popular and is backed by numerous humanist and free thought organizations. For examples of some past "Darwin Day" celebrations, see here. "On Charles Darwin's 200th birthday (February 12, 2009), students everywhere can speak out against censorship and stand up for free speech by defending the right to debate the evidence for and against evolution. Let's make "Darwin Day" 2009 Academic Freedom Day!" For everything you need to know about Academic Freedom Day, click here. Stand up for academic freedom, after all, Darwin himself said, "A fair result can be obtained only by fulling stating and balancing the facts and arguments on both sides of each question." Dallas Willard- How Does the Disciple Live? What does it truly mean to be a disciple of Jesus Christ? In Dallas Willard's article, How Does the Disciple Live?, he explains what it truly means to be a disciple of Jesus Christ. Whether you are a Christian who desires to understand discipleship better or someone who has ask, "What does it mean to follow Jesus?," I believe this article will encourage and challenge you. For other articles by Dallas Willard, please see here. Why believe in a god? Just be good for goodness sake! For those who haven't heard, the American Humanist Association has launched a $40,000 campaign against belief in God. Ads proclaiming, "Why believe in a god? Just be good for goodness' sake," will appear on Washington, D.C. buses starting this week and run through December. Fred Edwords, spokesman for the humanist group said "Our reason for doing it during the holidays is there are an awful lot of agnostics, atheists and other types of non-theists who feel a little alone during the holidays because of its association with traditional religion." First off, I have relatives and friends who don't believe the same things I do, however, we are still able to get together and enjoy each other's company during the Christmas season. Further, some of them are able to talk about Christianity and their struggles with it openly. Second, I strongly believe that a Christian's faith in God should not only be based on experiential evidence (there is nothing wrong with this), but also, as Mr. Edwords put it, "rational thought and critical thinking." The irony of the AHA's campaign can be found within the very text they have chosen for their signs: "Why believe in a god? Just be good for goodness sake!" In the past, Truthbomb has presented a few articles dealing with the moral argument for the existence of God that can be viewed here and here. For this specific topic however, we offer an article from philosopher Norman Geisler, Can Atheists Justify Being Good Without God?, where Dr. Geisler explains why the text selected by the AHA actually points to the very God they deny. We encourage you to check out the article. 1) 'Why Believe in a God?' Ad Campaign Launches on D.C. Buses, http://www.foxnews.com/story/0,2933,450445,00.html, November 12, 2008. "Scepticism about the Neo-Darwinian Paradigm"
Dr. William Lane Craig, philosopher and Christian apologist, has debated numerous individuals on various topics- the resurrection of Jesus, the existence of God, Christianity vs. Atheism, and much more. Dr. Craig also has an excellent website entitled Reasonable Faith that includes numerous resources such as articles, pod casts, and a question/answer section. This week's question was posed to Dr. Craig by a theistic evolutionist who is skeptical of his (Dr. Craig's) view of macroevolution. As someone who is currently studying the Intelligent Design/Darwinian Evolution debate, I found Dr. Craig's answer to be thought provoking. It has been well said that, "Science is a slave to philosophy." In Lita Cosner's article, G.K. Chesterton: Darwinism is ‘An attack upon thought itself,' the author demonstrates how Chesterton's arguments regarding evolution, science, and morality apply just as much today as they did during Chesterton's life time. "Chesterton was able to see how the ideas in his day might affect thought in the future, and argued against what he saw the consequences of such flawed ideas to be. It is revealing that in nearly a century since he penned his arguments against evolution and Darwinism, those same arguments are as relevant today as they were in the early 20th century." To check out some of Chesterton's other key arguments, see here. 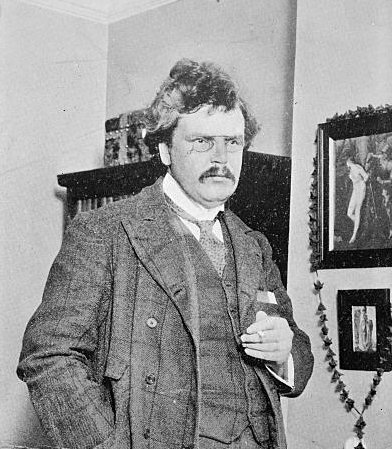 If you are interested in learning more about Chesterton and his literary works, please see here. Scientist James Tour has moderated a debate between agnostic David Berlinski and atheist Dr. Bradley Monton who argued for Intelligent Design and theologian Denis Alexander and physicist Lawrence Krauss who argued in favor of Darwinian Evolution. Another debate addressing the same topic will take place tonight. I wanted to point out that this debate clearly challenges the idea that only religious fanatics and bible-thumping creationists believe that Intelligent Design has any merit to it. Undoubtedly, this will prove to be an interesting exchange of ideas. To read more, see here. More information regarding ID forthcoming! Few debates are as intense as the one that exists between those who advocate Intelligent Design and those who hold to Darwinian Evolution. Regardless of where you stand in this debate, it's important to understand what those who advocate Intelligent Design actually hold to or believe. 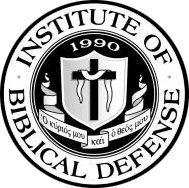 The Intelligent Design and Evolution Awareness Center (IDEA) seeks to "promote intelligent design theory by educating people about intelligent design in a non-threatening and non-dogmatic manner." Upon a recommendation, I was finally able to view Ben Stein's controversial documentary, Expelled: No Intelligence Allowed. Admittedly, when the film was released I was very skeptical about all the hype that surrounded it and was cautious not to endorse or denounce the picture until I was able to view it for myself. With all of the negative media and venomous comments that have been made from the Neo-Darwinist camp regarding the film, I was expecting the movie to be more of a propaganda piece. However, I was surprised to see Stein sit down with intelligent men and women on both sides of the debate. Stein seemed to be genuinely concerned about the bias that exists within the scientific community (as I am) and simply wanted to present another viewpoint that is not often seen in the mainstream media. Clearly, Stein favored the IDers (hence why he made the film) however, I did not feel that he tried to demonize those in the opposing camp. I am sure that many of those interviewed said numerous things that they would have preferred be included or discarded from the documentary, however, atheists don't seem to mind this when Bill Maher does it. I would have liked to have seen both the IDers and the Darwinists discuss more of the actually evidence that is in question during the documentary. However, I realize that Stein wanted to make his point in an entertaining manner. And, on a lesser note, I could have done without some of the music during the interviews. Expelled: No Intelligence Allowed is worth seeing regardless of where you stand in the debate between Intelligent Design and Darwinism. Stein makes his point in humorous ways and I really enjoyed watching him sit down with numerous scholars and scientists that I read. After watching the film, I couldn't help but reflect back to when Dan Brown's The Da Vinci Code was the center of controversy. I recall debating with someone who quipped, "What are you so worried about? If what you believe is true, it shouldn't matter. Besides, it's just fiction." I also remember someone suggesting that the fact that so many "religious folks" were worried about the film served to prove that they are really insecure about what they believe. Perhaps they were right; because the fact that so many Neo-Darwinists are so worried and upset about Expelled leads me to wonder: "If what you believe is true, it shouldn't matter." Author William A. Dembski worked closely as an advisor with the producers of the Spring 2008 documentary Expelled: No Intelligence Allowed starring Ben Stein. How to Be an Intellectually Fulfilled Atheist (Or Not) is the intellectual argument that helped inform significant elements of the movie. The book is co-authored by biologist Jonathan Wells, author of Icons of Evolution. Check out a brief preview of the book here. Dr. James Dobson of Focus on the Family, interviewed Professor Robert George, author of the essay, Obama's Abortion Extremism. 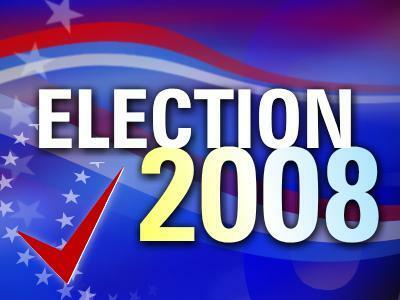 We encourage you to take the time to listen to the broadcast and read this informative essay by Professor George before casting your vote in 2008. Strong scientific evidence suggests that there is a purpose behind our existence and that a Designer is responsible. The Discovery Institutes's blog, Evolution News & Views, looks at the current debate between Intelligent Design and Darwinian evolution. Whether it be your next door neighbor or one of the popular "New Atheists," the claim that religion is the main cause of humanities ills is becoming more and more common and the non-believer seems all to anxious to bombard the believer with such accusations as, "What about all the violence religion has caused?" If those who attack Christianity continue to insist that the ordinary follower of Christ, who has never done anyone harm, must answer for the crimes committed by self-proclaimed Christians in history, then likewise atheists do not get to turn a blind eye to the brutality caused by their beliefs in recent world history. When one truly gives their life to Jesus Christ and accepts His invitation to follow, the fruit that results is love, peace, forgiveness, giving, etc. German philosopher Friedrich Nietzsche predicted that the “death of God” movement would lead to the bloodiest century in history and a universal madness. Nietzsche was willing to admit that atheism is devoid of conscience. Authors Christopher Hitchens and Sam Harris, who continue to preach the “moral superiority” of atheism, would do well to reexamine the history of godless governments. But wait! Wasn't Hitler a Christian? To get an idea of how Hitler really felt about Christianity, see here. 1) Sam Harris, The End of Faith. 2) Dinesh D'Souza, What's so Great about Christianity, p. 215. Admittedly, I am not a big reader of fictional novels, Christian or otherwise. However, I would have to be living under a rock not to hear about the latest hit novel, The Shack by William P. Young. It has been suggested, by pastor and author Eugene Peterson, that The Shack, "has the potential to do for our generation what John Bunyan’s Pilgrim’s Progress did for his." However, others suggest that it does not parallel with sound biblical doctrine. Theologian and philosopher, Dr. Norman Geisler, who's work I have benefit much from in the past, offers his treatment of the novel in his article, The Shack: Helpful or Heretical?. Yesterday was a humbling, emotionally exhausting day. I was one of the hundreds of followers of Jesus Christ who showed up at the Convoy of Hope that took place at E. Russell Hicks Middle School in Hagerstown, Maryland. Our goal and mission was to provide for hurting families in the area and share the blessed hope that we have in Jesus Christ with whoever needed to hear it. Reflecting on the day, I remembered the lady who asked for prayer for her husband who is dying of diabetes and has no health care. Or the gentlemen who shared that his kidneys were failing and that he was on a list for a donor; upon finishing a prayer with him, he fell into my arms and wept. I could tell he had not felt loved in quite sometime. As I walked him out to where he could get his free groceries, he continued to thank me, tears rolling down his face. I recall the young lady and her 1 1/2 year old son who were on there own. She shared about her past drug addiction and about how God had used her little boy to "straighten her out." And the dear lady who accepted Christ as her Savior and with tears in her eyes, hugged me. She was a "New creation" (2 Cor. 5:17). Upon returning home, and scooping up my oldest daughter into my arms, I could not help but weep for those whom I had met and prayed with that day. I could not help but admit to being spoiled. I remarked to my wife, "The last time I had to go to the doctor, I complained about how long I had to sit in the waiting room. Today, I met people who were dying and didn't have health care." 1) I met people that were hungry, poor, cold, sick, and/or broken, yet they longed for one thing more than any other: God. They longed for His comfort, His strength, and His provision. Their situation, in most cases, did not lead them to curse God, but to cry out to Him. 2) With all that the guests received that day- food, entertainment, haircuts, medical checks, and job opportunities- they seemed to appreciate one thing more than any other- that someone cared for them and took the time to show them love. I was told, by a fellow worker, of a lady who had 9 to 10 of her family members with her and was able to get a free, professionally done, family portrait taken. As she walked into the prayer tent she was crying and remarked, "We (her family) have never had the chance to have a picture done all together, professionally like this." I wonder if she is still looking at the picture at this very moment. Even more so, I wonder if God was watching and smiling because His church was together, being the body of Christ to those in need. I was honored to be a part of the Convoy of Hope and sincerely hope that the guests gained as much from the experience as I did. In an effort to provide answers for those desiring truth, I am starting an ongoing series entitled Common Objections. In this series, I will be providing thoughts of my own, scholarly articles, and/or quotes from credible sources, addressing some of the more common objections to the Christian faith. It is impossible for Truthbomb to cover every topic that is brought to our attention, therefore, this is a way in which readers can benefit from our work, as well as the work of other apologists and thinkers. For our first objection in the series, we take a look at the growing claim made by atheists that they simple "lack belief in God." I myself have been entertained in the past listening to atheists in debates, defending the atheist position, but then are unwilling to admit that they should have to provide positive evidence that atheism is true! Apologist Matthew Slick at the Christian Apologetics and Research Ministry, takes a look at the claim more and more atheists are making: "I lack belief in God." Bill Maher- What Say You? Author Dinesh D'Souza has debated the likes of Christopher Hitchens, Michael Shermer, and Daniel Dennett. He has also written a book entitled What's So Great about Christianity. As readers of Truthbomb know, I have not always agreed with Mr. D'Souza on everything, however, I'm glad to see that Mr. D'Souza has issued a challenge to Bill Maher, star of the latest attempt to bash religion, Religulous, to debate. "Maher simply ignores the good evidence on the other side. I would love to debate him on his show, and can easily show that Maher’s self-image as an intellectual is largely bogus. It is only in the company of obvious charlatans and simpletons that Maher comes off as the bright guy. And because he cannot stand up to real opposition, I doubt that Maher has the guts to take me up on this offer. Ultimately, he is an intellectual coward who relies on the argumentum ad ignorantium—the argument that relies on the ignorance of the audience." In Maher's defense, I have read that he has had Christian apologist Frank Turek on his show, Politically Incorrect, in the past. So, Mr. Maher, we a Truthbomb Apologetics want to know: What Say You? Will you accept Dinesh's challenge to debate? 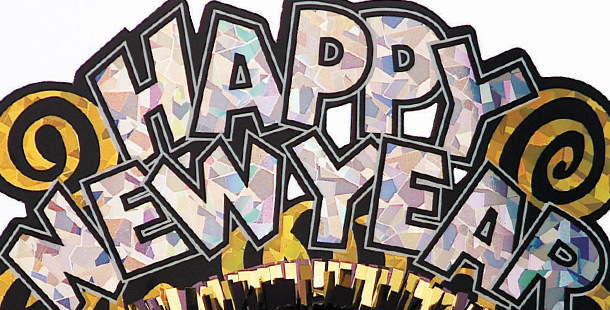 Greetings and I hope all is well with you and yours! If you’ll remember (I realize it’s been awhile…new dad and all! ), in our last newsletter we mentioned that we would be critiquing Eckhart Tolle’s book, A New Earth. However, after reading the first 3-4 chapters of the book, it became apparent that a more pressing issue arose from Tolle’s writings; namely, Jesus Christ’s claim that He, and He alone, is the sole source of salvation (Jn. 14:6). This claim will be our focus this month. The fact that Jesus Christ Himself claimed to be the exclusive way to salvation and eternal life has long offended those who do not believe in Christ and even some who do! Those who embrace this claim most often earn labels such as intolerant, narrow-minded, or even bigoted. However, one must ask: What if Jesus' claim to be the exclusive way to God is logical? What if it’s verifiable? Then, the belief that Jesus is the only way to God would be rendered essential. The answers to these questions undoubtedly have tremendous implications on one’s life regardless if they acknowledge it or not. Truth does not change simply because it’s ignored, scoffed at, or disbelieved. Our purpose in this month’s newsletter is to examine the claims of Jesus Christ and to assess if His exclusive claim to salvation is logical and verifiable and then, as a result, essential. When discussing the exclusive claim Jesus Himself made (John 14:6), it is amazing to hear some of the unreasonable statements those opposed to this belief will make in an effort to avoid taking a definitive stance on the issue. Are you absolutely sure about that? Is this not an absolute truth claim about all religions? Okay, is this statement only true for you or true for me as well? “If my belief is only true for me, then why isn’t your belief only true for you? Aren’t you saying you want me to believe the same thing you do? You say that no belief is true for everyone, but you want everyone to believe what you do. Did you come to this conclusion logically or illogically? I completely agree! However, I also have to right to believe that they are wrong! Further, does this apply to morality? Does someone have the right to believe murder is okay and is therefore justified? I think not. Sincerity is not a good test for truth. The terrorists who flew planes into the World Trade Center on 9/11 were very sincere, however, does this validate their actions? Of course not. Someone can be very sincere, but be sincerely wrong. Beliefs have consequences and clearly it does matter what we accept as true. Those who claim that all religions lead to God are basing this conviction in pure sentiment, not in logic or truth. Religions that teach opposite truth claims cannot be true at the same time. For example, the Bible tells us that Jesus died upon the cross (John 19:33), while the Koran, Islam’s “sacred scriptures,” asserts that He did not (Surah 4:157-158). No one in their right mind would claim that both could be true at the same time, however, when someone claims that Islam and Christianity are equally true belief systems, this is precisely what they are saying! Orthodox Christianity claims to be the true religion. Islam and Buddhism, in spite of the fact that on the surface they claim to be diverse, declare to be true. Since there are mutually exclusive truth claims among these religions, it is obvious that they cannot all be correct. Further, as Christian apologist Ravi Zacharias puts it, “The statement that Christians are arrogant by claiming exclusivity ignores the reality that every other major religion does as well. So when people talk of arrogance, this cannot be a logical attack they are making.”  Even the religion that claims to accept all religious truth claims does not allow for someone to believe that there is only one way. Therefore, even they are being exclusive; by definition, truth must be exclusive. If one truly desires to discover the truth about God, Jesus Christ, and the Bible as it relates to other belief systems, he or she must be willing to consider which, if any, of these world views, offers the answers to life's most important questions, corresponds with reality, offers evidence to support it’s claims, and works when put into practice. Jesus Christ stands unique in every way when compared to the other so-called religious leaders of the past and present for various demonstrable reasons. Before examining the radically unique claims of Jesus Christ, it’s important to point out that Jesus and His bodily resurrection from the dead provides us with an objective test for the truth of Christianity. Indeed, if we have good reason to believe Jesus rose from the dead then His words and claims stand authoritative over all others, past and present. For those who may have missed our past newsletters on the evidence for the resurrection, please see here and here. Jesus Christ was unique in that he alone, of all who ever lived, was both God and man. The New Testament teaches the fully unified deity and humanity of Christ. This claim alone makes him unique above all other religious leaders or persons who have ever lived, and it can be backed up with factual evidence. “Jesus claimed dual titles of divinity. Particularly, He said He was both the Son of God (Mt. 11:27) and the Son of Man (Mark 2:10-11). He spoke of His Father in familiar ways (Mk 13:36) and even claimed to forgive sins, for which He was charged with blasphemy (Mk 2:5-7). In perhaps the clearest indication of His claims about Himself, when the high priest asked Jesus if He was the Christ, the Son of God, Jesus plainly declared that He was. Then He further asserted that He was also the Son of Man who would co reign on God’s throne and come on the clouds in judgment. The high priest pronounced these claims blasphemy (Mk 14:61-64). These sayings of Jesus were recorded in documents that were written just decades after the events, and there are strong reasons to hold that all were composed by authors who were close to the occurrences. Moreover, many of the individual passages exhibit earmarks of historicity. Last, very early creedal texts (e.g., Ac 2:36; Rm 1:3-4; 10:9) also apply titles of deity to Jesus Christ. Many religious teachers have claimed to present God’s way. But Jesus declared not only that He was initiating God’s path of salvation (Mk 1:15-20) but also that what His hearers did specifically with Him determined their eternal destiny (Mt 10:37-40; 19:23-30). Further, of these religious founders, only Jesus taught that His death would serve as a payment for human sin, achieving what we could not (Mk 10:45; 14:22-25). For exhaustive documentation regarding the uniqeness of Christ and how He compares to other religious leaders, please see here. Does this mean that all other religions are completely false? No! As long as these truths are not contradictory to God’s revealed truth, the Bible. All truth, regardless of where it is found, originates with and comes from God alone and His only begotten Son (John 3:16), Jesus Christ. 1) It simply is not important whether or not Jesus’ claim to exclusivity is narrow-minded or not. What matters is if it’s true. 2) Claiming that all religions are equally valid is an illogical statement due to the fact they teach contradictory doctrines. 3) Jesus Christ was/is unique in His life, death, virtuous life, resurrection, and teachings. When He is compared alongside other major religious leaders, He alone stands utterly and completely unique. 4) The resurrection of Jesus Christ offers the inquirer an objective test to evaluate the truth claims of Christianity. If we have good reason to believe Jesus rose from the dead, then He has proved that He is who He said He was and that His words have authority over all others. 5) Truth can be found in various places. To the follower of Christ, truth is whatever doesn’t contradict the Word of God, the Bible. This is a much more opened minded view than the numerous atheists that claim all religions offer nothing of real value. When I picked-up this book and saw that J.P. Moreland had written a recommendation for it, I was immediately interested. I believe Moreland to be one of the bravest thinkers within Christendom today. Needless to say, I was not disappointed. “We have never really embraced the message and movement of Jesus Christ as a call to revolution. Instead, we have gotten comfortable with a watered-down, whitewashed, religiously safe version of him” [Intro]. I could not agree more and for those who are seeking Jesus among the 10 million dollar, plane flying evangelists or the self-help Christianity that permeates even Christian bookstores, The Jesus of Suburbia is a great place to start your search. One finds the Jesus of the Gospels alive and well throughout the book and we are reminded that Jesus is anything but safe. If obeyed, He will turn your life upside down. I was disappointed with Erre’s treatment of apologetics in this book. Erre himself admits that he “became fascinated by the branch of Christian thought called apologetics…I learned that you didn’t have to be an idiot to believe in Jesus” [p.176]. I could not disagree more! The so-called New Atheists have waged war against belief in God, the Bible, and Jesus Himself. There is a desperate need for intellectuals within the body of Christ now, more than ever. Overall, this book was a great read. I recommend it to those who are asking the question, “What does it really mean to follow Jesus Christ in this modern age?” Further, I recommend it to those that have bought the argument that Christianity is evil. This book will demonstrate that Jesus Christ, the Jesus of the Gospels, has started a revolution of love and He is inviting us all to join up! Brian Auten offers his Case for Apologetics and the case is opened and shut! In this outstanding defense, Brian demonstrates why apologetics is historical, biblical, and necessary. For those who have friends and/or relatives caught up in the trap of New Age beliefs, this site will prove to be a great resource. I also recommend the author’s treatment of Tolle’s New Earth. With Truthbomb still being in it’s infancy, it seems that we are constantly seeing ways that we can improve our ministry efforts. Next month, Truthbomb will release it’s new Mission Statement and begin a new direction. Please pray for the ministry! “Do nothing out of rivalry or conceit, but in humility consider others as more important than yourselves” (Philippians 2:3; CSB). It is easy for one who is involved in Christian Apologetics to strive to “slam-dunk” the argument in order to communicate one’s point. However, this verse reminds us that humility is the attitude in which we should approach others. 1) Truthbomb Apologetics Ministry- Pray that God will guide us in the material we present and help us to reach those who are truly seeking answers about God, Jesus, and His Word. We must have God leading the way! 2) Pray for the Convoy of Hope taking place at E. Russell Hicks in Hagerstown on October 18th, 2008. 3) Pray for the upcoming election. 4) Pray for those you know that do not know Christ. 5) Please pray for me as I am teaching a class at Faith Christian Fellowship on Evangelism. 1) Paul Copan, It’s True for You, but Not for Me, http://www.bethinking.org/truth-tolerance/introductory/thats-true-for-you-but-not-for-me-relativism.htm, 1998. 2) Norman Geisler, Baker Encyclopedia of Christian Apologetics, p. 783. 4) Gary Habermas and Mike Licona, The Case for the Resurrection, p. 28. 5) Gary Habermas, Are Jesus’ Claims Unique Among the Religions of the World?, The Apologetics Study Bible, p. 1582-1583. 6) Michael Green, Avoiding Jesus, p. 81-82. 1) Only One Way to Heaven? Is Jesus Christ the Only Means to Reach God? by Boyet Olave, Ph.D. In an earlier post I mentioned that we would have more for you on Bill Maher's "film" entitled Religulous. In the film, Maher sets out to seemingly question people all over the world and to find out why they believe in God, etc. There are many thoughts and opinions swirling around the Internet, both positive and negative, however, most agree that Maher's film is nothing more than a witty comedian poking fun at those who believe in God, miracles, etc. I believe that this film merely serves to confirm what many within the body of Christ have been saying for a long time- we need to know what we believe and why we believe it! "But you must remember, beloved, the predictions of the apostles of our Lord Jesus Christ. They said to you, "In the last time there will be scoffers, following their own ungodly passions. It is these who cause divisions, worldly people, devoid of Spirit. But you, beloved, build yourselves up in your most holy faith; pray in the Holy Spirit; keep yourselves in the love of God, waiting for the mercy of our Lord Jesus Christ that leads to eternal life" (Jude 1:17-21). 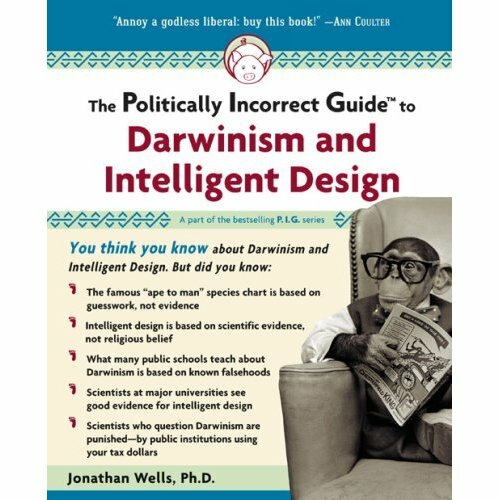 Scientist Jonathan Wells, author of the controversial, Icons of Evolution, has released another book entitled The Politically Incorrect Guide to Darwinism and Intelligent Design. 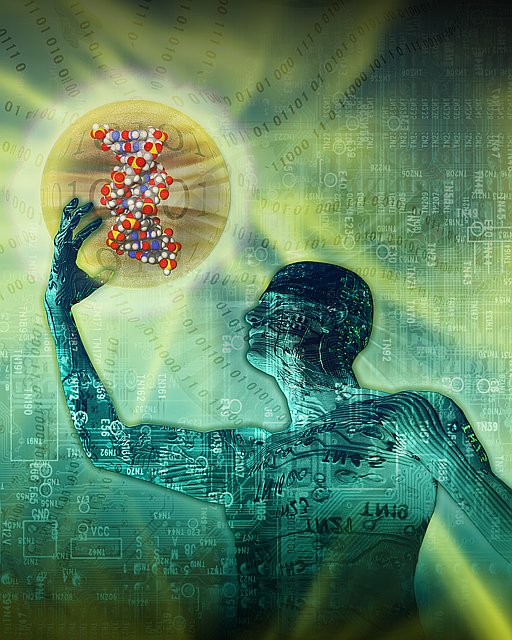 In this podcast, Wells discusses the content of his new book, the future of Intelligent Design, and why he believes many neo-Darwinists are reluctant to consider evidence that doesn't support their theory. In this podcast, Dr. Geoffrey Simmons discusses his book, Billions of Missing Links. I stumbled upon it while doing some research and found it interesting. Enjoy! Labels: Evolution, Geoffrey Simmons, Intelligent Design, M.D. Recently, while listening to a debate between Christian apologist Dr. William Lane Craig and humanist atheist Dr. John Shook, I was surprised to hear Dr. Shook ask Dr. Craig if any extra-biblical evidence existed for the life of Jesus Christ. In other words, does any evidence exist for Jesus outside of the Biblical narratives? Dr. Craig, a veteran of numerous debates, rightly pointed out that indeed sources for Jesus do exist outside the Bible (he offered a few resources), but that even if they didn't we still have good reasons to trust the New Testament documents. The following week I listened to a debate between atheist Sam Harris and journalist Chris Hedges. In Harris' opening remarks he made the absurd claim that "no extra-biblical evidence describes the miraculous events recorded in the four gospel accounts." Harris went on to say that "all scholars agree that the gospels were written decades after Jesus's death." I find these statements troubling because: 1) The first one is false. 2) the second one is very misleading. For anyone who has studied the historical evidence for Christ, this certainly is absurd and speaks volumes as to how little Sam Harris and John Shook know about the available historical evidence for the life of Jesus Christ. I find that interesting simply because they both seem to believe they are informed enough to speak publicly on the topic. Is there any extra-biblical evidence for the life, death, and resurrection of Jesus Christ outside the gospels? And if so, what can we learn about the life of Christ and the accuracy of the NT from these sources? "Just how many non-Christian sources are there that mention Jesus? Including Josephus, there are ten known non-Christian writers who mention Jesus within 150 years of his life. By contrast, over the same 150 years, there are nine non-Christian sources who mention Tiberius Caesar, the Roman emperor at the time of Jesus. So discounting all the Christian sources, Jesus is actually mentioned by one more source than the Roman emperor. If you include the Christian sources, authors mentioning Jesus outnumber those mentioning Tiberius 43 to 10! Some of these non-Christian sources-such as Celsus, Tacitus, and the Jewish Talmud- could be considered anti-Christian sources. While these works do not have any eyewitness testimony that contradicts events described in the NT documents, they are works written by writers whose tone is decidedly anti-Christian. 1. Jesus lived during the time of Tiberius Caesar. 5. He was acclaimed to be the Messiah. 7. 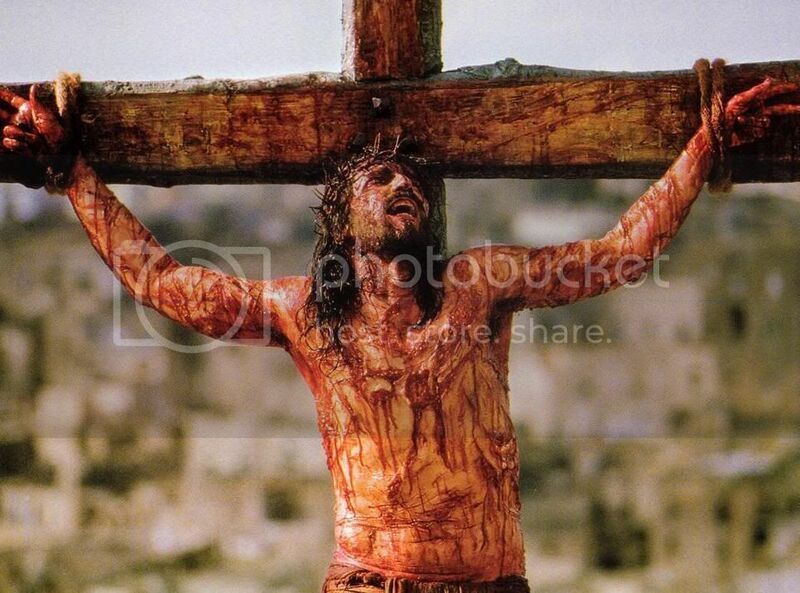 He was crucified on the eve of the Jewish Passover. 11. Christianity spread rapidly as far as Rome. 12. His disciples denied the Roman gods and worshiped Jesus as God. Clearly, anyone willing to consider the data can see that the non-biblical evidence for the life, death, and resurrection of Jesus Christ indeed exists. For an exhaustive look at the ancient non-Christian Sources for Jesus Christ, please see here. Perhaps before his next debate, Mr. Harris may want to brush up on his research...or maybe think about starting it. For more on the credibility of the NT documents, see here and here. To explore how the New Atheist camp has sought to misrepresent the reliability of the Bible, Jesus Christ, and the existence of God, please see Douglas Groothuis's thoughts here and here. 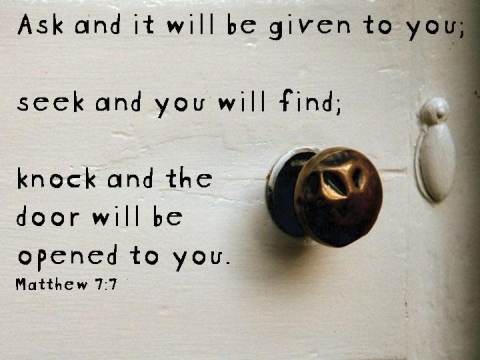 For those who keep up with the "search" for the historical Jesus, you most likely caught wind of the news coming out of Jerusalem this summer reporting that a stone tablet had been found with writing on it referring to a coming Jewish Messiah that seemingly predates Jesus. It is amazing to watch the popular media flock to this story and immediately begin jumping to conclusions about the historical Jesus and the evidence for His life, death, and resurrection. I have yet to see anyone in the secular media deal with the hard evidence of the resurrection sufficiently. To view some of this evidence, click here. 1) "What's Really on the new "Dead Sea Stone?" by New Testament Scholar Craig Blomberg- Here, Blomberg breaks down the text and explains exactly what is says and what it doesn't. Who is that above on the piece of toast? It's Bible scholar Bill Maher! Actually, the toast might be able to answer as many questions about the Bible as Mr. Maher. "It has been my pleasure over the last decade and a half to make organized religion one of my favorite targets. I often explained to people, “I don’t need to make fun of religion, it makes fun of itself.” And, then I go ahead and make fun of it too, just for laughs." From reading Maher's comments about the film, it's clear that he believes that all those who believe in God or practice a religion are "stupid and/or crazy." Fair enough, however, surely before one would make such blanket judgments about the majority of the world's population, he or she would be sure to thoroughly examine the topic and give it an honest hearing, yes? I'm sure that we can expect and look forward to watching Mr. Maher interview Bible scholars such as N.T. Wright, Craig Evans, or Dan Wallace. Or perhaps he will sit down with William Lane Craig or J.P. Moreland? I doubt it. More on the Oscar worthy film, "The Man and His Toast" forthcoming! 1. Every law has a law giver. 2. There is a Moral Law. 3. Therefore, there is a Moral Law Giver. However, is it reasonable to believe that a true absolute Moral Law exists? I submit that it is and that to believe otherwise could result, and has resulted, in morally reprehensible consequences. Let us imagine for a moment what a life could be like if someone decided to truly embrace the idea that there are no moral obligations in this world. Let us envision a life lived out, fully embracing the idea that there is no Moral Law or Moral Law Giver. I believe that the late Health Ledger's performance as the Joker in the film The Dark Knight gives us a hint of what a life could look like if one truly adopted the idea that no Moral Law exists. "The only sensible way to live in this world is without rules." As a result, the Joker leaves a wake of destruction, murder, and social disorder wherever he goes and views his existence as a kind of giant social experiment. He himself states, "You'll see, I'll show you, that when the chips are down, these uh... civilized people, they'll eat each other." The scary thing about the Joker's philosophy of "living without rules" is that if there is no God, no one would be justified in claiming whether or not he is right or wrong. If there is no objective, transcendent source of the Moral Law in which we can look to as our moral compass, isn't "living in the world without rules" okay? If not, why? Or, how do we know? For those who would deny that an objective moral standard exists, one only needs to treat them poorly and watch their reaction! However, I do not recommend this, but only mention it to bring about a point. "So, when Gentiles, who do not have the law, instinctively do what the law demands, they are a law to themselves even though they do not have the law. They show that the work of the law is written on their hearts. Their consciences testify in support of this, and their competing thoughts either accuse or excuse them..." (Romans 2:14-15, CSB). The problem for the nonbeliever is that they have nothing in which to solidify why they believe love is better than hate. Or why saving a life is better than taking one in cold blood. Their conscience simple is and their atheistic worldview cannot explain where the feelings come from, why they exist, or if they even matter. Logically then, the question must be asked: "If we are not morally responsible to a Creator, why choose the better virtue?" If killing someone gets one to where they want to be and the guilt they feel afterward is simply a feeling brought about by naturalistic causes, then why not just dismiss those feelings? 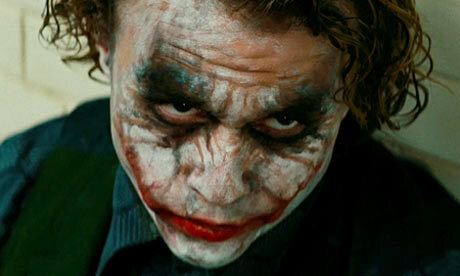 If you can avoid being penalized by the existing law system, why not "introduce a little chaos," as the Joker recommends? Yes, The Dark Knight is a fictional film. Much like a world without an absolute Moral Law is fictional. Without God, morality is merely subject to the whims of mankind’s feelings, opinions, and agendas. Our thoughts and feelings of right and wrong are products of one long string of meaningless chemical accidents, so why should we trust them or heed them? Reason becomes meaningless, life becomes meaningless, and morality becomes meaningless. Those who hold to atheism and live a “moral” lifestyle live above the conclusions of their worldview; however, their worldview cannot justify nor sustain their actions. God alone provides us with an Objective Moral Compass. 1) Norman Geisler and Roman Turek, I Don't Have Enough Faith to be an Atheist, p. 171. 2) CS Lewis, Mere Christianity, p. 19. 3) Geisler and Turek, Ibid, p. 171. 4) Francis Schaeffer, How Should We Then Live?, p. 145. 5) Paul Copan, What Is the Natural Law?, The Apologetics Study Bible, p. 1683. 1) http://www.biblicaldefense.org/Writings/moral_argument.htm- The Moral Argument by Phil Fernandas. FYI- Our Second child will be here soon! Hello everyone! I just wanted to let our readers know that we are expecting our second little girl any day now and to please continue to pray for her health and a safe delivery. I will do my best to answer emails, comments, and/or questions, however, if it takes a little longer than usual, please know that I will get to it! Thank you for your prayers and for supporting Truthbomb Apologetics! 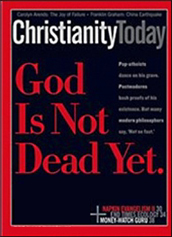 William Lane Craig in Christianity Today- God Is Not Dead Yet! I wanted to draw attention to this month's edition of Christianity Today that features author, debater, and philosopher Dr. William Lane Craig summarizing some of the main arguments for the existence of a theistic God. Craig also explains why many of the modern attacks upon the Christian faith do not reflect an academic position, but are based upon a lack of understanding. Check it out and enjoy! Also, Dr. Craig has released a 3rd edition of his well known book, A Reasonable Faith. Also, to complement the book, Dr. Craig offers a companion site that includes free teaching tools. I hope these resources aid you and encourage you in your search for truth! Many today have fallen victim to the ridiculous assertion that Jesus Christ never existed. While this belief has all but died in academic circles, internet skeptics have attempted to advance this groundless theory. 1) http://www.tektonics.org/shattering.html- Here, apologist J.P. Holding offers exhaustive critiques of works done by those attempting to advance the Christ-myth. Dr. Gary Habermas explains away the claims from G.A. Wells that Christ didn't exist. 3) http://www.answeringinfidels.com/answering-skeptics/others/a-review-of-brian-flemmings-dvd-the-god-who-wasnt-there.html- Apologist Mike Licona destroy's Brian Flemming's movie (and I use that term loosely), The God Who Wasn't There. 4) http://www.bede.org.uk/jesusindex.htm- "A page maintained by CADRE member the Venerable Bede, with contributions by CADRE member Christopher Price. Discusses the history of the Jesus Myth itself, provides the scholarly view of the Jesus Myth, responds to Earl Doherty, and addresses the supposed pagan myth parallels." 5) http://www.bede.org.uk/price1.htm- Scholarly reactions regarding the "Christ-Mythers." 6) http://www.christiancadre.org/topics/historicaljesus.html- An exhaustive collection of various works on the historical Jesus. 2) the truth claim can be verified empirically through one or more of the five senses. It is not uncommon to run across an atheist or skeptic who still attempts to invoke Hume’s principles in an effort to render any discussion of God and His existence meaningless. “On the first day of that class (Logical Positivism), this professor gave the class the task of giving presentations based on chapters in Ayer’s book Logic, Truth, and Language. I volunteered to do the chapter titled, “The Principle of Empirical Verifiability.” Now keep in mind, this principle was the very foundation of Logical Positivism and thus of the entire course. In one sweeping statement, Geisler demonstrated the obvious flaw in the principle; it is self-defeating! The POEV excludes itself because it is neither empirically verifiable nor true by definition. Obviously, claims that are empirically verifiable or true by definition are meaningful, but they do not encompass all meaningful assertions. The skeptic who continues to invoke the POEV in an effort to explain away the evidence for the existence of God is merely attempting to present a tired objection to avoid critically examining the available data. The existence of the universe itself, it’s fine-tuning, and the complexity of information within living things alone point to, and even seem to require, the existence of a pre-existing cause outside of nature i.e. God. 1) Norman Geisler and Frank Turek, I Don’t have Enough Faith to be an Atheist, p. 57-58.